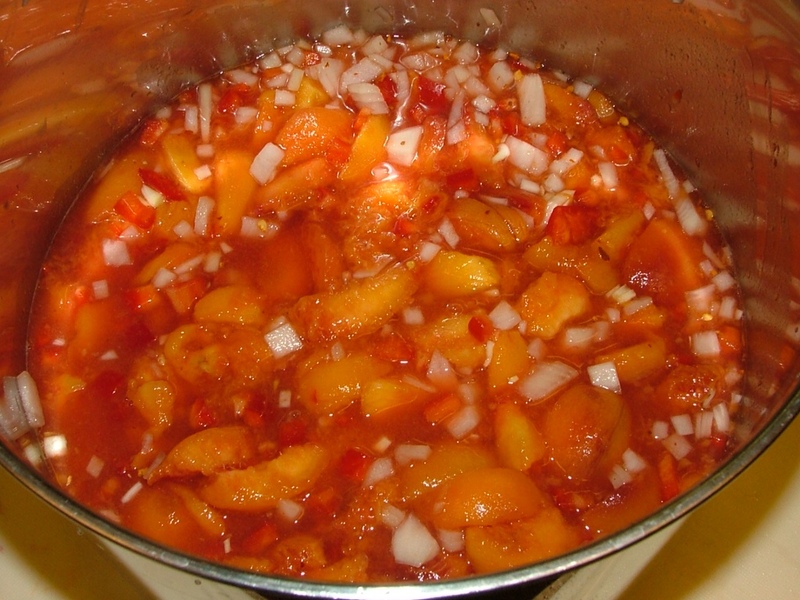 Last year I made this peach barbecue sauce for the first time. To test my sauce we made two slabs of baby backed ribs, one was slathered with Sweet Baby Rays, the other with Zesty Peach Barbecue Sauce. The homemade, home canned sauce won hands down in our family taste test! Quality control- you can control what ingredients go into your homemade product. Commercial BBQ sauces contain large amounts of high fructose corn syrup. 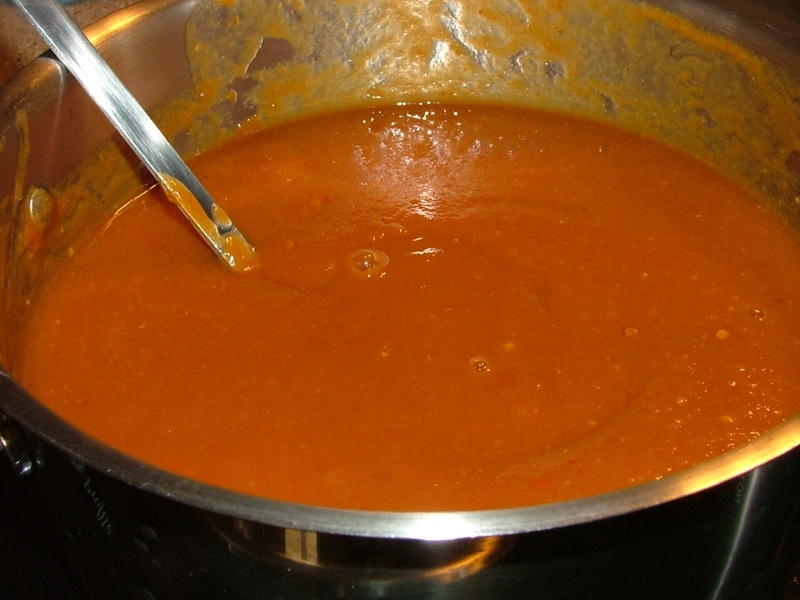 Most homemade BBQ Sauce recipes call for ketchup as their base and it's loaded with high fructose corn syrup (HFCS) also. After reading labels we have found Hunts Ketchup does not contain HFCS. Dietary intake of fructose, particularly in the form of high-fructose corn syrup (HFCS), has dramatically increased in the US in recent decades. Increased HFCS consumption has paralleled increasing rates of obesity, metabolic syndrome, and other conditions associated with poor lifestyle habits. High-fructose corn syrup is found in sweetened carbonated soft drinks as well as in many packaged foods such as cakes, cookies, jams, jellies, and crackers. Excess fructose intake has been associated with adverse health effects such as metabolic syndrome, elevated triglyceride levels, hypertension, non-alcoholic fatty liver disease, excess uric acid levels (associated with gout), and elevated levels of advanced glycation end products (AGEs; linked with aging and complications of diabetes). Minimizing intake of dietary fructose is essential to mitigating its potentially dangerous effects. Sources of dietary fructose include HFCS, fruit juices, honey, and table sugar (sucrose; comprising fructose and glucose). Targeted nutritional strategies can help avert some of the damaging effects of excess fructose intake. Beneficial nutrients include benfotiamine, alpha-lipoic acid, carnosine, pyridoxamine, acetyl-L-carnitine, vitamin C, and fish oil. For the full 2 page article click on the link below. Before beginning your journey in home canning consider purchasing a reputable cookbook to keep on hand so you have an understanding of the basics. When done properly canning can be very rewarding. Ball publishes a canning and preserving book annually. Ball has been publishing reliable guides to home canning, freezing and dehydration for many generations and, is certainly a great place to learn. Each cookbook comes with detailed photos and even an 800- number for any preserving questions you might have. Ingredients all chopped and measured. Ingredients mixed and ready for cookin' up a batch. 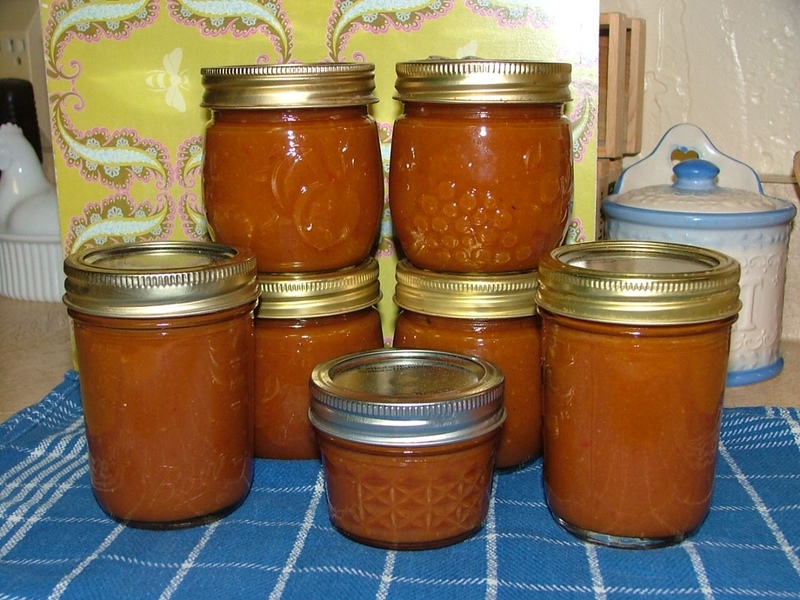 ZESTY PEACH BARBEQUE SAUCE - Makes aproximately eight 8-ounce jars. I've found this sauce has a better texture if run through a blender or food processor, which eliminates the need for finely chopping all your ingredients. 1 1/4 cups liquid honey- Spray your measuring cup with cooking oil so it slides out. Combine all the ingredients, bring to a boil over medium-high heat. Reduce heat and boil gently for about 25 minutes, stirring frequently, until about the consistency of a thin commercial barbeque sauce. Prepare your hot water bath. Add a tablespoon of white vinegar to water. Wash canning jars in hot water and place in hot water bath to sterilize and keep jars hot. 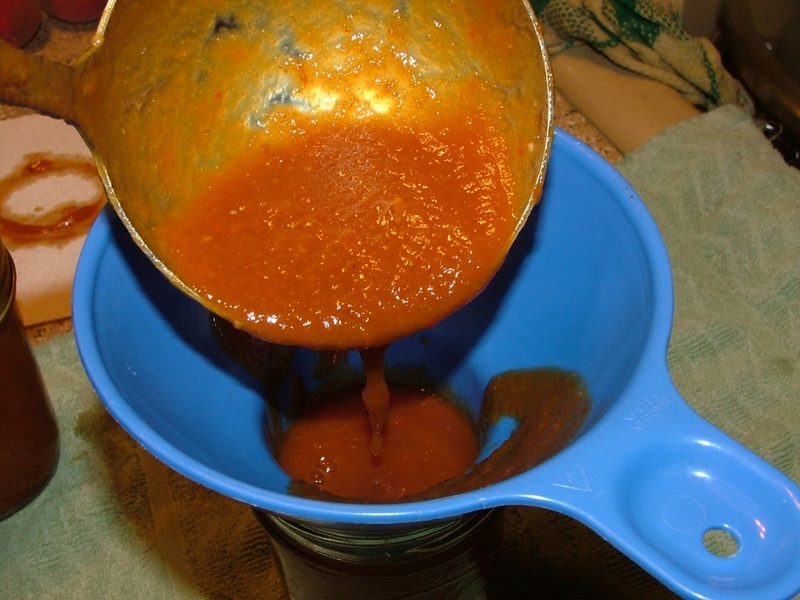 Pour hot sauce carefully into blender in 3 batches and blend on purée. I poured my sauce into a large sauce pan so it would be easier to ladle into hot jars and brought it back to a simmer before filling hot jars. Fill hot jars, leaving 1/2-inch headspace. Remove air bubbles. Wipe off jar rim with a clean cloth. Add lid and ring and process in a hot water bath for 15 minutes. Remove jars and cool on towel out of drafts. Check to make sure all your jars properly sealed and refrigerate any that didn't seal. BBQ sauce thickened and ready for blender. Finished product! 6 1/2 cups because I like mine thicker! 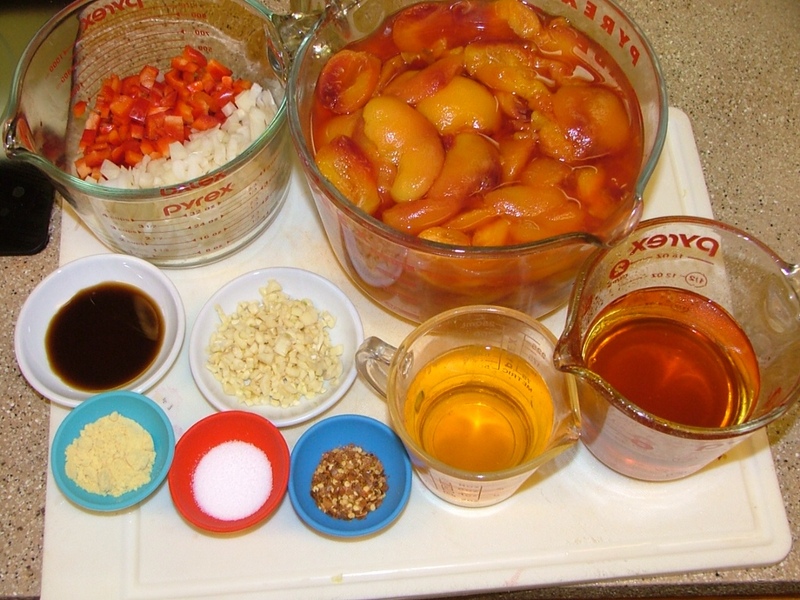 So, why take all the time and effort to make "Peach" BBQ Sauce? The peachy flavor is retained but intensified as it cooks down. It took 1st place in our Independence Day celebration, taste tests! Fresh picked peaches are at the peak of perfection. No preservatives or added chemicals. Extend peach season through canning. A truly gourmet product, homemade . . . from your kitchen! 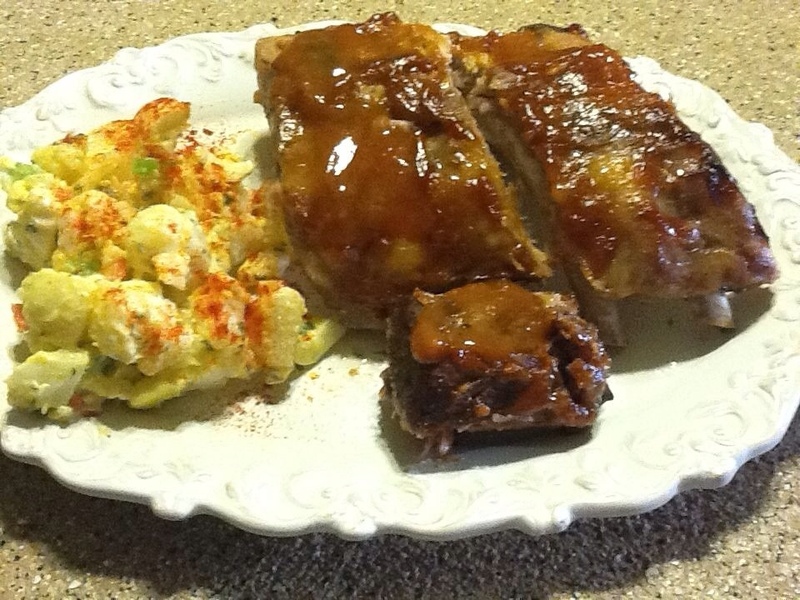 Homemade Potato Salad and Baby Back Rib topped with Zesty Peach Barbecue Sauce! I slow cooked these baby backed ribs in the oven while this season's Zesty Peach Barbeque Sauce was simmering away on the stove. So thankful we still had 1 jar left from last year's batch to slather on our ribs during their last half hour of cooking. It smells amazing . . . Over at Julie's!!! Thanks for sharing your ingredients and procedure. I'll try this one. You are right, if you do any homemade foods, sauce or juices, you can control what ingredients you want to put and your free of high fructose corn syrup. 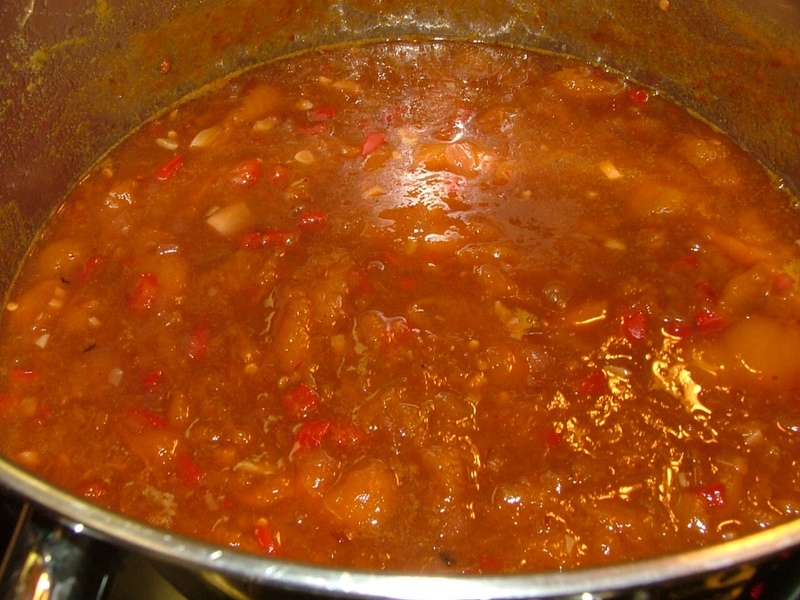 Thank you for letting me know that you tried my recipe for Zesty Peach BBQ and loved it! It is still our, hands down, family favorite! Looking forward to checking out you blog!